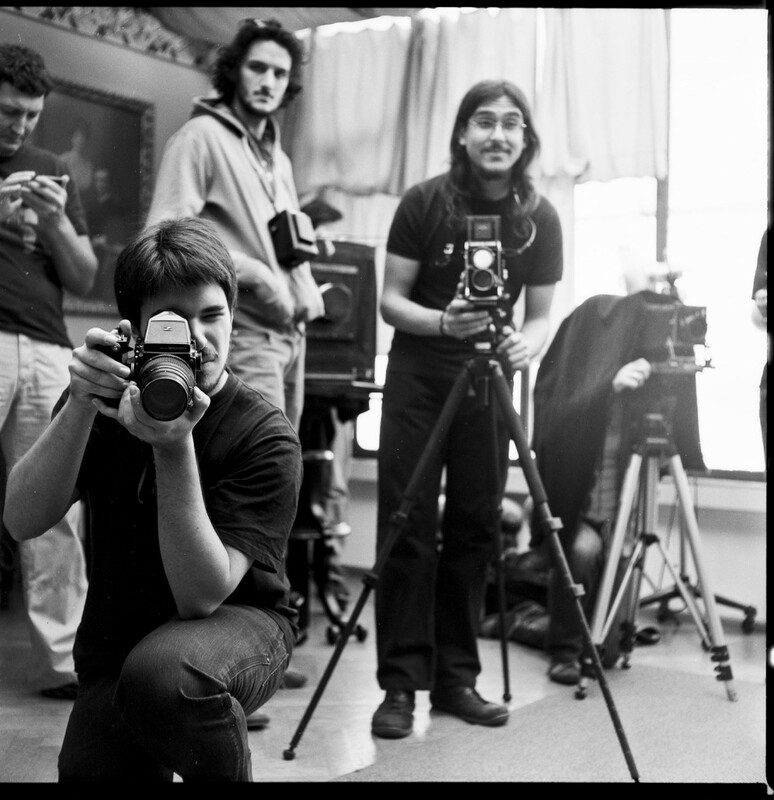 This workshop is covering film photography and its advantages and disadvantages. In this one three day workshop the participant will use different cameras from small to large format, expose films, develop films and make prints. On the end we will also cover advanced creative and archival techniques of toning with selenium and / or sulphide toner, drying prints on glass or with ferrotyping technique for high glossy surface and extra tonality. Each of the participants will make a few contact copies of negatives and few enlarged prints of size 24×30 cm and one photo on 50x60cm paper. One enlargement 50×60 cm is included in the the price of the workshop, but it is possible to print more at the additional cost of 10 EUR per print. We will learn how to print with gradation filters, dodge and burn certain areas of the print and on the end we will tone our prints for aesthetic and archival quality. The toning part includes advanced toning technique of split toning with sulphide and selenium toners. The workshop is limited to four people, so we will have enough time to make good prints. Three day workshop costs 450 EUR and that includes all material costs, from large format silver-gelatine photo papers, films, developer, toners (sulphide and selenium). The price does not include food and accommodation. If you are interested only in darkroom part of the workshop, you may join us on Saturday and Sunday and the price will be lower, 350 EUR. The workshop is limited to four participants and you get your place by paying the reservation of 100 EUR. The rest you pay at the start of the workshop. The reservation fee is 90% refundable three weeks before the workshop, but after that, it’s not refundable. In vicinity there are four hotels and many B&B options. You will receive our support in finding the most suitable accommodation for your needs.